DRXQUINNX’s journey into music pushes the limits of sound and is becoming a strong creative force. Since 2007 DRXQUINNX (pronounced “Dr. Quinn”) has made strides as a Producer, Rapper, and DJ. Originally from Champaign, IL, he has opened for artists such as Lupe Fiasco (2009), Qwel and Maker (2011), and Curren$y (2012). He has also created one of the most anticipated collaborative albums “eL. 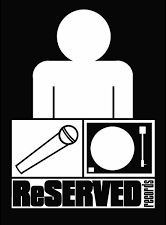 B’s,”under former alias I2K alongside Grill Billyenz F.K.A. MadC. Growing up, Quinn indulged himself with influences such as Madlib, Kanye West, J Dilla, Lupe Fiasco, Mos Def, inspiring his production to grow into a heavy sampled based Drum n Bass & Jungle style. DRXQUINNX has an unorthodox style of hip hop Incorporating 90’s boom bap/breakbeat, jazz, and new age EDM, as well as 8-bit, and Punk elements. He has a fly, funky, experimental outersound with a versatile style of rap mixing of a satirical mainstream sound with strong a conscience message.